Earned an HRC Started leg. Earned the BN with First, Third and Fourth place. Earned the RN, with First & Third place. Earned his second HRC Started leg. Earned U-CD with Fourth, Second and First place. Earned two ASCA CD legs with HIT on both. 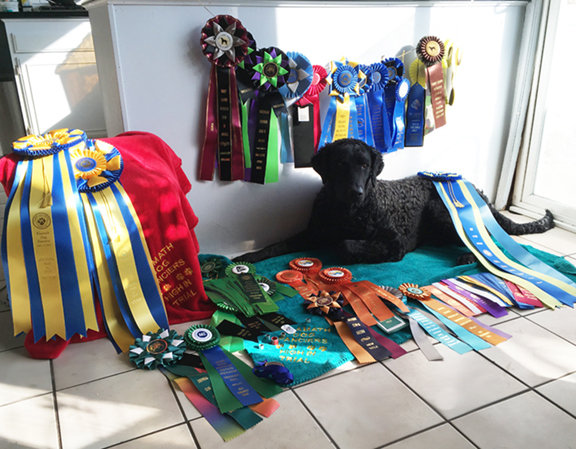 * Earned ASCA RN with 2 Firsts & High Other Breeds, and one Fourth. 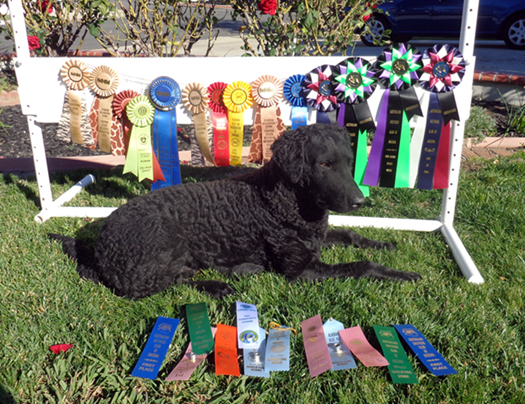 * Finished ASCA CD with First & Second, High Other Breed & High in Trial. * Earned an HRC Started leg. * Earned RA all with perfect scores & First place. * Earned RE with two First places. * Earned CD with 3 First places, & two High in Trials. * Earned two ASCA CDX legs with Second and Third. * Earned an ASCA RA leg with First. * Earned TKN, TKI and TKA. * Earned CDX winning a runoff for Third place. * Earned UD with Third & two First places. * Won a High Combined. * Earned two UDX legs. * Won two OTCh points. * Won four High in Trials. * Qualified for the 2018 Obedience Invitational. * Won seven Ch points including a major. * Won 38 more OTCh points. * Qualified for the 2019 Obedience Invitational. * Won three High in Trials. 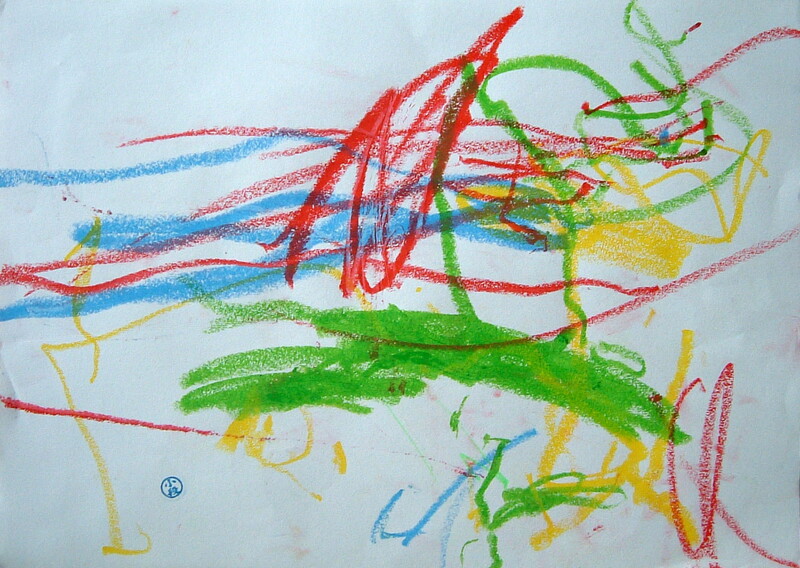 * Finished Ch with two more majors. * Won five High Combineds. * Finished the OM1 & OM2. * Finished HRC Started title. 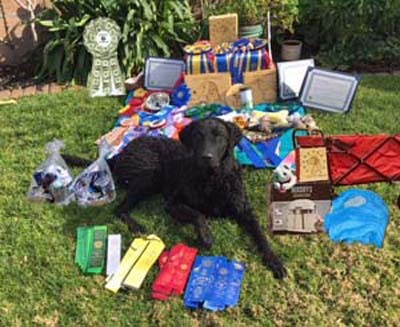 * Finished ASCA RAX with two High Other Breed wins. * Earned a Senior Hunter leg. * Earned a NAHRA WR leg. * Won another OTCh point. * Finished ASCA CDX with Hi Other Breed. 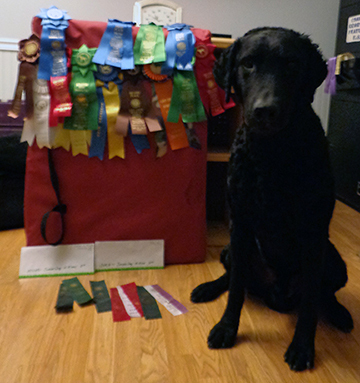 * Earned two ASCA UD legs both with First place, and a High in Trial. * Earned another Senior Hunter leg. * Qualified for the 2020 Obedience Invitational. * Earned Mex, PanAm and FCI Chs with three Group placements.